What a brilliant article! Update: JENDA complained to our hosting company about our sharing of this article, so we've taken it down. Because the complaint caused our hosting company to take our entire website offline yesterday, we are extremely disappointed that they chose to avoid contacting us directly per our disclaimer notice. This is the worst example of spreading information I've ever seen in the African community in my journalistic experience. Nevertheless, in maintaining the original spirit of this post, and in honoring Dr. Oyewumi's brilliant writing which we can see separately from the journal that publishes it, we share key points below. Highlights of this piece are the author's critique of Nancy Chodorow ("The Reproduction of Mothering") and other feminists who define the verb "mother" as "things that mothers do in regard to children, which they see as primarily nurturing." The author points out that Chodorow's perspective sought to expand the role of men in terms of motherhood because they too can nurture, so they can also mother. The author goes on to suggest though that such a conceptualization of motherhood discounts other aspects "that only females experience such as gestation, parturition and childbirth." Finally, the author settled on agreeing to disagree, noting that Chodorow can keep her definition but must admit that rather than being universal, the type of "secular motherhood advanced in feminist theories is best described as nuclear motherhood -- a very specific cultural construction." [...] In earlier writings (Oyewumi 1993a, 1997, 1998, 2000, 2003), I have made a case that dominant Western feminist accounts of motherhood reduce it to a gender category. 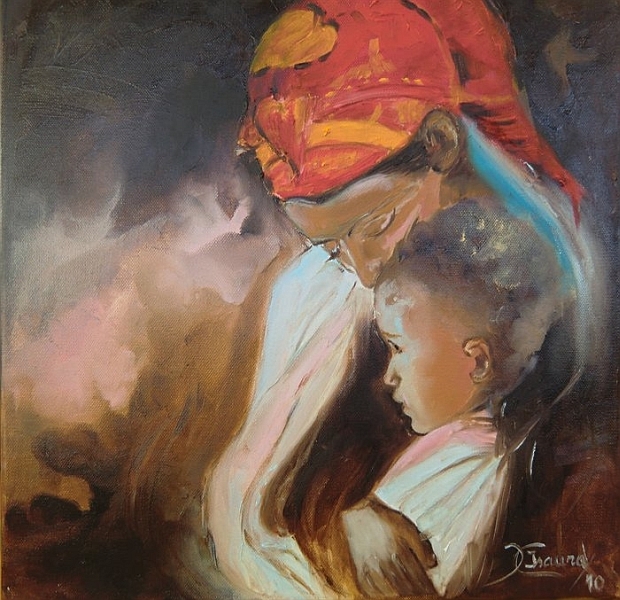 As such, mother is represented as a woman first and foremost, a category that is perceived to be subordinated, disadvantaged, and oppressed because women are subordinate to males who are the privileged group. The gendering of the institution of motherhood leads to its patriarchalization. In turn, because of the privileging of males, reproductive processes like parturition, gestation, and childbirth, which have no male equivalents, are erased from many feminist accounts of motherhood.